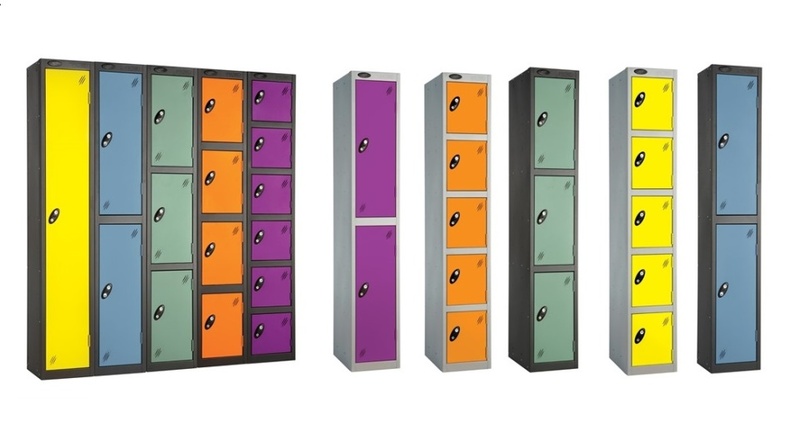 Colourful lockers in one, two, three and four door combinations great for modern office and retail applications. Doors come in a choice of five colours and the carcass in three. Colours can be mixed and matched for an enhanced design effect. Lockers are available in cost saving one, two and three nesting options and are pre punched for further nesting options. The lockers are also coated with ActiveCoat anti bacterial coating which achieves a 99.60% reduction in E.Cooi and MRSA population within 18 hours.